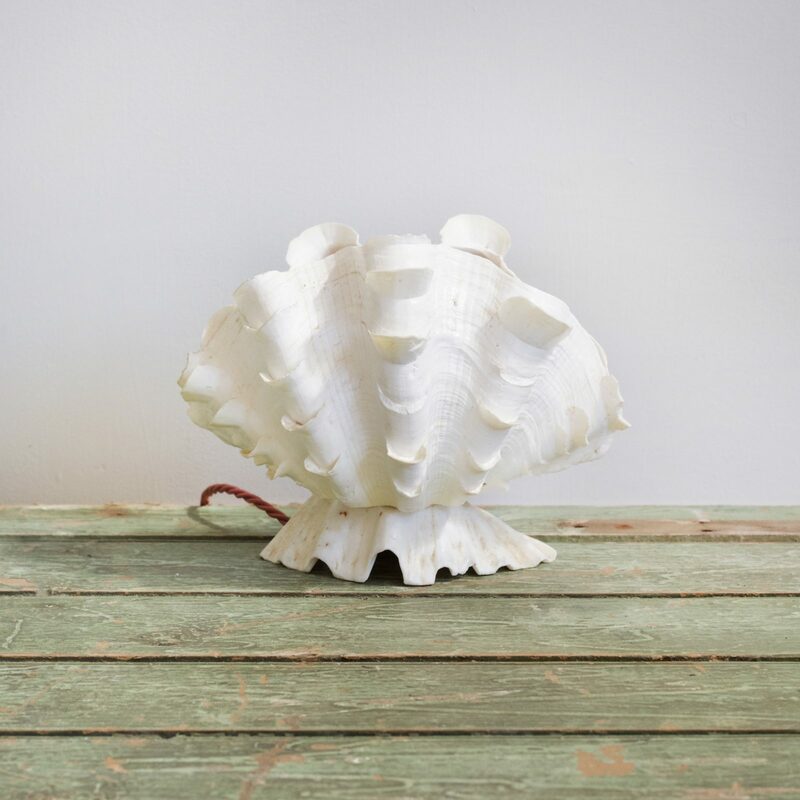 Vintage French shell lamp made from a giant clam shell. Once lit gives a muted pink light. Rewired with blush pink braided flex, an inline switch and plug.